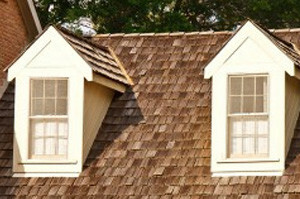 Shingled Roofing | Cedar Shake Roofing | Slate Tile RoofingNaperville Exteriors, Inc. is recognized as the leading roofing company in the Greater Chicago Metropolitan Area providing professional and reliable roof repair, roof installation and roof replacement. With more than 20 years of experience in the roofing industry, Naperville Exteriors, Inc. has been working with the same roofing contractors and crew for more than10 years. Unlike other roofing companies, when you work with Naperville Exteriors, Inc., you work directly with the owner. This ensures that your specific needs are always addressed in a timely manner. Furthermore, we combine our professional roofing designs, roof installation, and roof repair with our affordable pricing and unique workmanship to make certain your new roofing exceeds your expectations. Most importantly, Naperville Exteriors, Inc. is fully insured and a BBB A+ certified roofing company! You can count on Naperville Exteriors, Inc. to provide you with a roofing solution that will eliminate any future roofing problems. Our roofing contractors know that the work they do is a direct reflection of our company’s values. It is not just your endorsement and validation of the roofing job that is at stake; it’s our company’s name. That’s why, with every positive review Naperville Exteriors, Inc. receives, our reputation is further fortified. It’s no surprise that so many Downers Grove residents come to see us when they are trying to decide whether they want a Traditional Shingled Roof, a Cedar Shake Roof or a Slate Tile Roof. Downers Grove, Illinois is located in DuPage County about 23 miles west of Chicago. Downers Grove is consistently ranked as a top community in the nation in which to live, raise children and retire. The Chicago Tribune listed Downers Grove on its “Top 10 List of Downtowns.” There are approximately 50,000 residents living in Downers Grove with nearly 18,000 households. Naturally, Downers Grove homeowners are interested in preserving the quality of their lives and the integrity of their homes by having Naperville Exteriors, Inc. take care of their roof repairs and roof installations. When Downers Grove residents come into our offices, they want to see all their possibilities from Slate Tile Roofs to Traditional Shingled Roofs and Cedar Shake Roofs. They are interested in the fact that Naperville Exteriors, Inc.’s Slate Tile Roofs offer long-lasting durability and are available in a variety of colors to complement their Downers Grove homes. Many Downers Grove customers like that a Traditional Shingled Roof is extremely cost-effective and has a lifetime warranty and a 100% transferrable warranty. Other homeowners in Downers Grove have always wanted a Cedar Shake Roof, but thought it was too expensive. Now, with Naperville Exteriors, Inc. they will be able to realize their dream because our Cedar Shake Roofs are highly affordable and also backed by a lifetime warranty! So, if you are ready to take the plunge and get your roof replaced once and for all, it’s time you contacted Naperville Exteriors, Inc. As you know, your roof not only protects your home from harmful elements in the environment, but it also adds to the overall curb appeal of your residence. At Naperville Exteriors, Inc., we install only premium-quality Traditional Shingles, Cedar Shake Shingles or Slate Tile Roofing. Our exceptional products and craftsmanship are certain to please even the fussiest customers. As a result, if you are contemplating roof repair or roof replacement on your home, call us today at: (630)254-4831. Naperville Exteriors, Inc. will not only provide you with friendly service and professional advice, but as roofing specialists, we are trained and equipped to deal with any roofing scenarios with the utmost of skill and talent!